I need to remove branding in my group chat widget….. we hear that a lot !!! Love RumbleTalk, but prefer not to have our name on your chat box? That’s cool — we get it and we understand !! We wrote this article to help you understand the rebranding options with RumbleTalk as well as the How to. 1. Many website owners, software developer, webmasters wish to combine 3rd party software & services in there offering. This makes it easy to add a mature service that simply works. Not mentioning that it saves time (save the development time or installation, configuring and maintaining an in-house product). 2. End customers expect to see a complete coherent offering. They do not want to see patches of different pieces of software/services combined in an offering that looks different in colors, fonts, and overall look and feel. Too often, we see that websites focus attention on great functional websites rather than a great user experience. As a result, many of the “the offering” are mediocre. The reason is: many times the usage of different products, services, and open source modules result in a mix of unrelated parts (bad users experience). RumbleTalk is a service where you can add a group chat widget to any website, platform and even for mobile apps. As a service, you do not install the chat in your own server, you simply get a code from us and you add it to your HTML, code, plugin. Just to make it clear, the option of adding a code that is loaded in-remote from our server has many names. All pretty much describe the same thing, something is loaded on your website from a remote place as a service (It is called SaaS – software as a service). From day one, we thought that as a web chat service (group chat widget) we need to give our chat owners to control the look and feel of the overall chat. We thought that when you have control over how the chat will look like, you will have the freedom to design your own chat style. 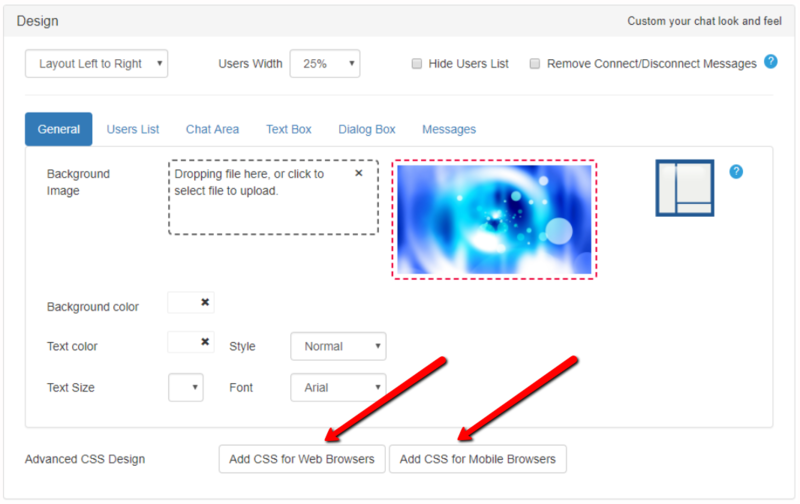 That will help you add a nice looking chat into your website as if it was your own designed chat. It proved to be one of the initial incentives for website owners to add RumbleTalk to their websites. The result was that customers created amazing chat designs, some with our advanced design option or with a pro option open to all, a custom CSS design (you will need some CSS coding or you can use our Web CSS tips or Mobile CSS tips). Remove the RumbleTalk branding is easy. You can use your own branding or remove it completely. (1) Remove branding is a premium feature. As a freemium service, the RumbleTalk branding removal is automatically done when a customer purchases a new subscription. So, the only thing you need to do to remove the RumbleTalk logo is to purchase a plan. * * Once upgraded we will remove the RumbleTalk branding from both the top area in the chat and other system messages. **see in the image below the same chat without the RumbleTalk brand name. (2) Customers that need a login button with their company name can change it via CSS. Let us explain what that actually means? RumbleTalk system is equipped with a pro design layer. It means, that it enables experts (in addition to the advanced design option) to go even further and use CSS code to control how the chat visual look will be presented. This can help to rebrand the chat login option with your own brand! 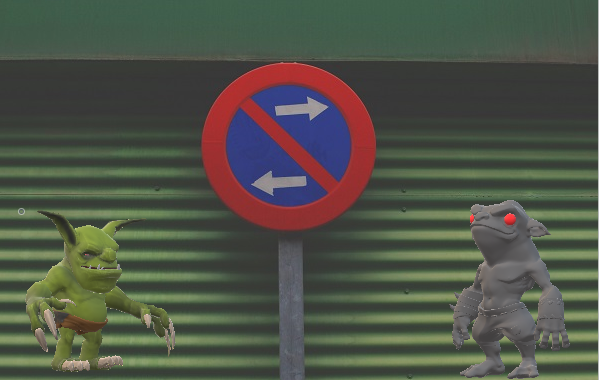 How to do it in real life? In your admin panel, open the chat settings. Then, when clicking on the web or mobile CSS buttons, it will open a screen. Simply copy this code below into the opened window. Do not forget to change your the name to your own. Saving is done automatically. Just to be clear, you can use the RumbleTalk chat widget forever. Free of charge. If you want to upgrade your plan to get more seats, video and audio call, uploading images, docs and presentations or ….remove branding. You can purchase a new plan. That is it. So, how do you purchase a new plan (upgrade your free chat). There are 3 ways to do so. To purchase a plan via the admin panel. 1. 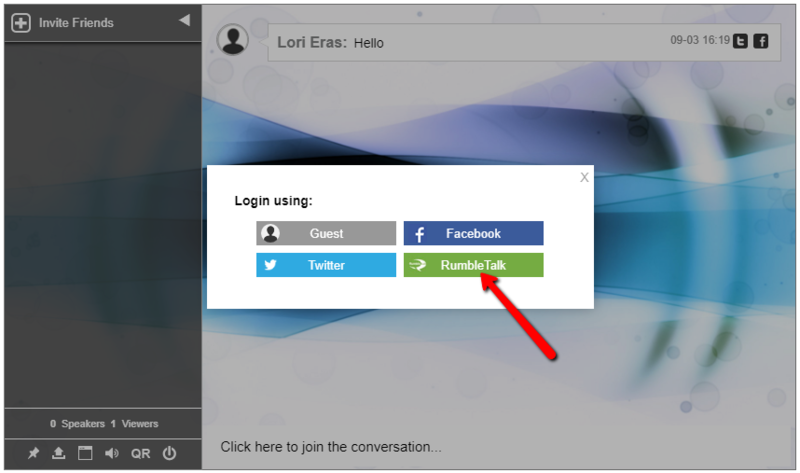 Log in to the chat dashboard from the RumbleTalk home page. 2. Click on the upgrade button and choose your preferred plan (number of seats and chats). 3. Enter your payment details. 4. Once approved, you will see your new plan updated. Now you can host more chatters and if you choose more than one chat, you can create more rooms. To purchase a plan via the website, you do not need to have an account. If you do and you used the same credentials, it will use those credentials to upgrade your account. 1. Go to the premium page. 2. 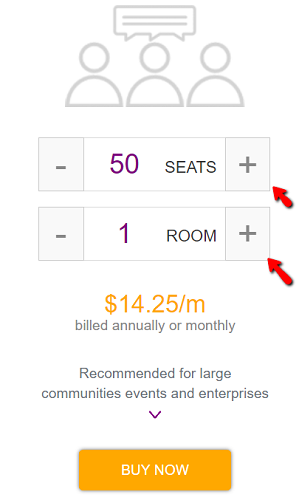 Click on the plan you want (use the + and – sign to control the number of seats and number of rooms). 3. Once clicking on the “Buy Now” button, you will need to choose a monthly or a yearly subscription. 4. Pay and you are done. If for any reason, you cannot upgrade your plan on our website. You can contact us via the contact us page and we will send you a special link to upgrade your chat. 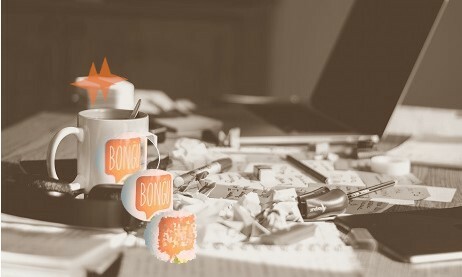 Next postHow To Integrate A Chat Room Into Your WordPress Members Plugin?